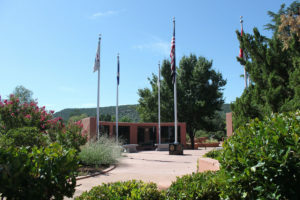 This emotional video was taken during a Memorial Day celebration, May 26, 2014 at the Sedona Military Service Park in Sedona, Arizona. Organized by the Marine Corps League Sedona Detachment #1237, by Commandant Dan Willits, Col. Judith Patton and Col. John Skaneski. The featured speaker was a Holocaust survivor, Nika Kohn Fleissig, daughter of Rabbi Alicia Magal who is spiritual leader of the Jewish Community of Sedona and the Verde Valley. Mayor Rob Adams greeted the audience of guests from the community, including active and retired military from all branches of the service.Taps was played by Myra Shutt. Singing the National Anthem was Teri Bays. 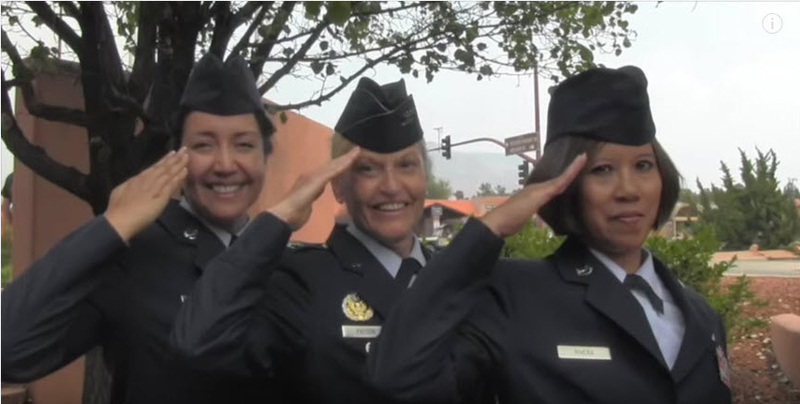 The songs accompanying this 11 minute video are: Taps With Orchestration by the United States Coast Guard, Military Medley sung by Gene Autry, and On Eagles Wings sung beautifully by Angela Birkhead-Flight. Film by Terrie Frankel.